Most of the time the families we work with are able to successfully reach a mediated settlement within two to four hours. This depends on whether there are children in the family, and to what level there have been discussions by the couple. However difficult it may be to work on a parenting plan, there is one undeniable truth: you are the only people who know your children, their needs, and the ability of each parent to meet those needs. By working together to make a plan that fits both your lives, you avoid the court’s cookie-cutter solutions. 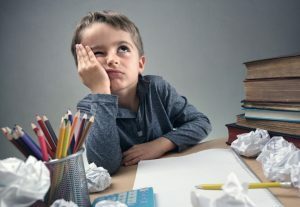 Statistics show that parents who prepare a plan jointly are more likely to comply with it than if a plan is imposed upon them by a Judge who doesn’t know anything about the family. What Options Are Available In Resolving Family Law Matters? Are There Different Ways To Complete Mediation? What Alternative Options To Litigation Do I Have If Mediation Does Not Work? What Factors Are Considered When Determining A Parenting Plan At Mediation? How Is Mediation An Appropriate Legal Process Compared To Litigation? Family mediation can be effective even if there is conflict between parties. The strength of mediation lies in its practical approach to the issues at hand. This is particularly helpful for couples wishing to establish a positive co-parenting plan for the benefit of their children. 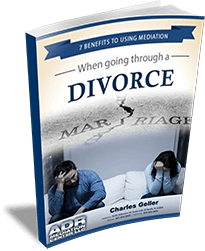 Mediation helps couples to set aside the emotions related to the divorce, and to focus on solutions that meet the interests and needs of all involved, both the adults and the children. A divorce affects the whole family, often putting considerable strain on the children. The fear and depression associated with a divorce can be increased by lengthy and adversarial litigation, not to mention a courtroom battle. This has a negative impact on the adults and on the children. Experience has shown that children benefit greatly when their parents negotiate a mutually agreeable settlement. 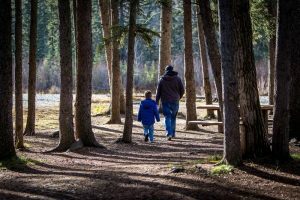 When Mom and Dad are seen to be comfortable with the separation agreement, especially time-sharing schedules, children are better able to adjust to the divorce. Copyright© 2019, ADR Mediation Center. LLC. All Rights Reserved.